If you want to serve cookies that will leave a lasting impression, try our gourmet cookies. Made with WHOLESOME INGREDIENTS you'd find in your our kitchen like natural vanilla and 100% real butter, our Mixing Bowl™ cookies deliver a HOMEMADE APPEARANCE and SUPERIOR TASTE. 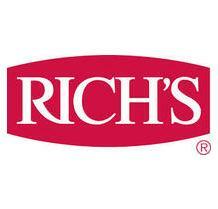 Note: Rich’s® Mixing Bowl™ Gourmet Cookies replaced Rich's® line of Gold & Platinum cookie dough that was discontinued on June 30th, 2016.